The Berghaus Cairngorm 2 is a backpacking tent suitable for 1 or 2 people with a cracking front porch area. We took this out to test and ended up pitching it on snow for the night. This wasn’t planned and you can read more about it in The Long Mynd Story. If you don’t already know, we don’t compare tents to each other, we just take them out to where they are supposed to be used, camp in them and report our findings. We like to highlight good and bad points and give you an honest opinion so you can make a more informed purchasing decision. It didn’t take long to get this tent up and sitting pretty on top of the crisp white snow. There are only 3 colour coded poles in total, which means the outer is pitched rather fast and then you can get to turn your attention to the inner (more about the inner shortly). 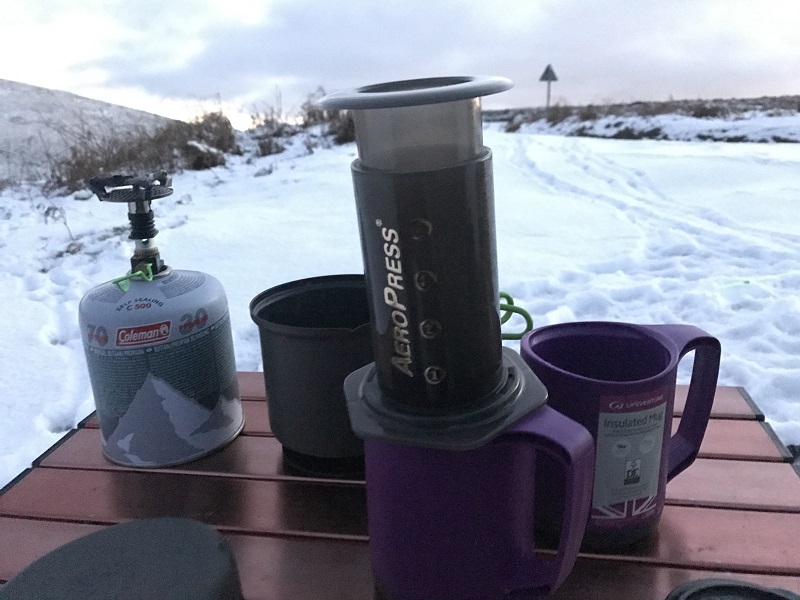 We were soon pitched and ready for a coffee, we had plenty of water with us but I didn’t need an excuse to gather some of the surrounding snow to make a hot drink. Note to self, a pan full of snow doesn’t make much coffee. Gathering snow and heating it up on the Optimus Crux stove, anyone would think we were big kids – we are. 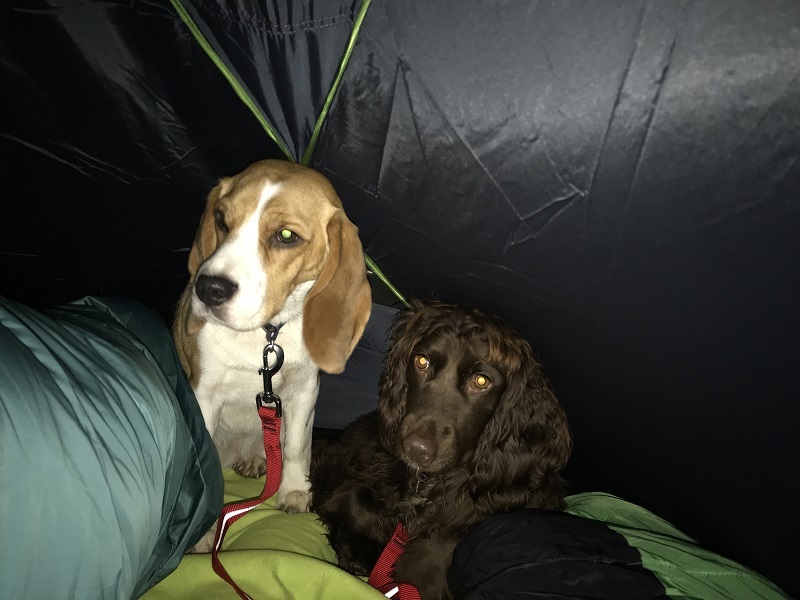 So what can we say about our little Cairngorm 2 tent adventure? The tent itself was up in no time, which was clearly a bonus on this occasion as it was very cold and getting dark. We wanted to be pitched up fast and settled into our sleeping bags. We had only pitched this tent once previously, just to get a feel for how it went together se we were by no means experts. It goes up without any hassle. It is a simple and straight forward design, with nothing complicated about it. It is really simple, with only 3 poles (2 long and one short). Colour coded and elasticated together so everything is to hand and nothing can get lost. I accidentally deleted the snowy pitching footage I had taken, so I re-shot it what I got back. I have retaken the deleted footage (without the snow) and you can see that it can easily be put together by just one person. The outer fly sheet is ripstop polyester, flame retardand and has a 3000 hydrostatic head. It feels very durable in use and the whole package with it’s lightweight poles is light enough not to require a gang of Sherpas to carry your gear. The pole sleeves are perforated, meaning that air can pass through them easily so the tent doesn’t get buffered around by any wind. The pole sleeves are also anti-snag, and we haven’t experienced any issues with feeding the poles through quickly. There are ventilation points front and rear of the tent, and the door of the inner has mesh at the top. All this helps to maintain the comfort inside the tent and reduce any condensation build up. The vestibule area is rather large and has plenty of space for storing all your gear (backpacks and boots). It was easy to get in and out of with it’s 2 doors and decent head height. This area would also be useful for cooking in if the weather wasn’t the best, the door and vent configuration should offer adequate ventilation and the tent material is fire retardant. 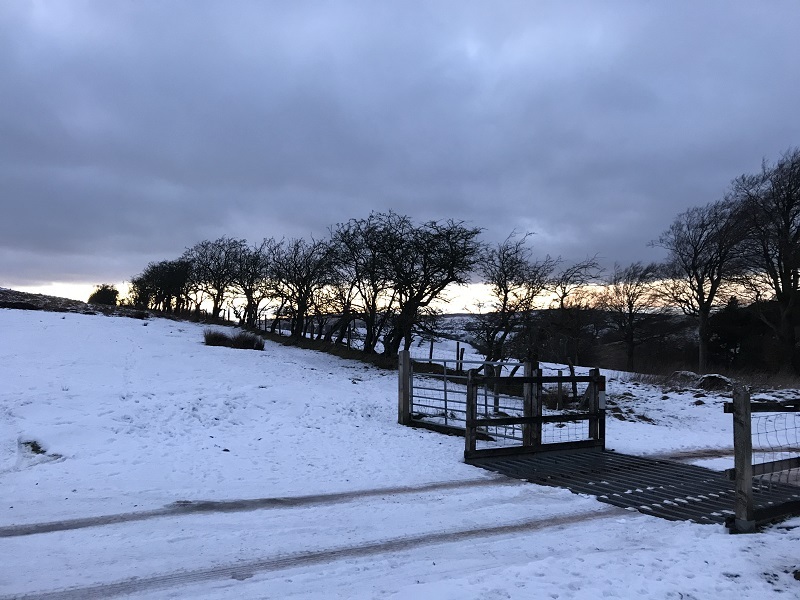 However, safety and common sense should always be a the forefront here, and we would recommend rolling the ground sheet back out of the way and ensuring that your cooking gear is on a flat and secure bare ground. Mrs TentLife was suffering with her cold knees (it was -2), she had her tiny water bottle so I dutifully filled it up with hot snow so we could get cosy for the evening. How is the room inside this tent? Our camping party consisted of 2 adults and 2 dogs. They slept at our feet where the tent narrows. We slept with our heads nearest the door. We both used thermally insulated mats next to each other and there was adequate room. 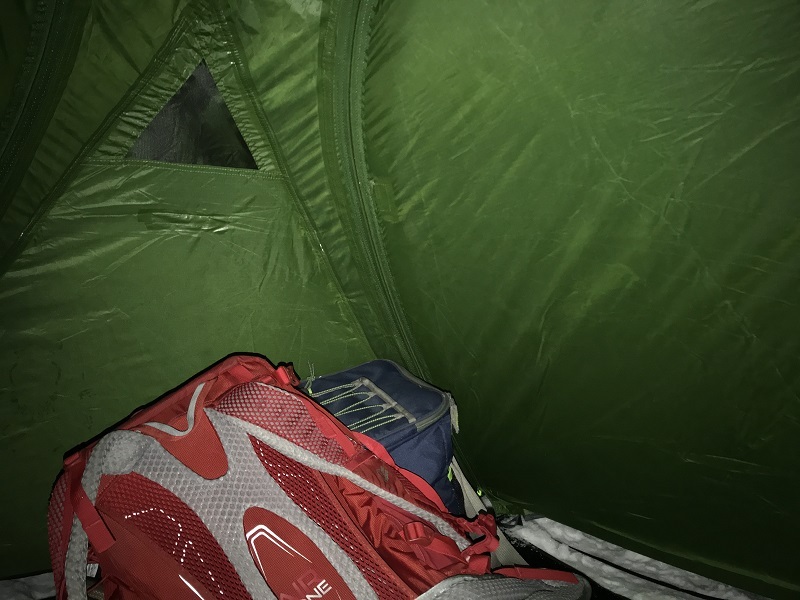 The head height on this tent is good, although there isn’t anywhere at the inner door end to hang a light (Berghaus sort this out), but there is a lantern attachment at the foot/narrow end. We can’t comment as to how it copes in the wind as in this occasion there wasn’t any, not even a breeze. That didn’t stop me putting the guy ropes out just in case any turned up overnight. 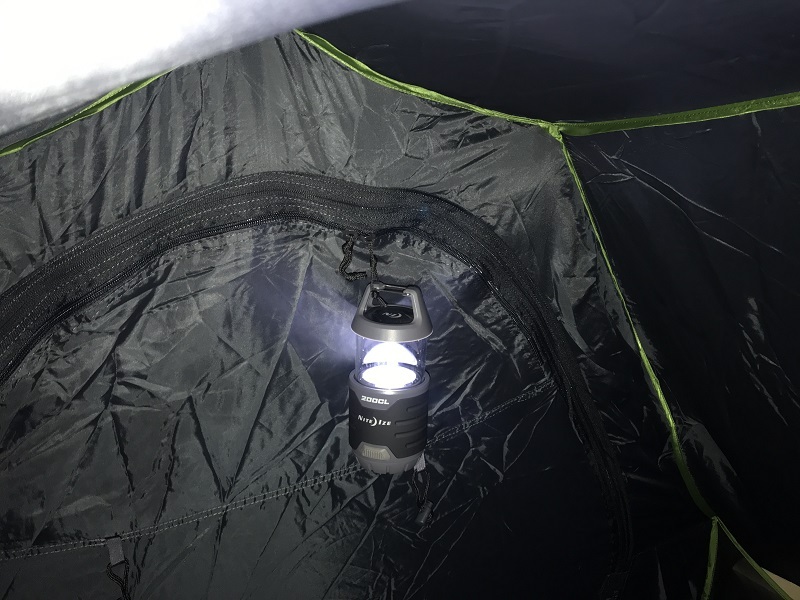 There are handy storage pockets on each side of the tent for keeping your stuff organised and we were able to rig a light above our heads by attaching it to the zip of the inner door, not a problem. How easily it pitches for starters, quick and easy design that is snag free. Perfect for fast deployment and offering plenty of space. I like the built in ground sheet in the vestibule area, or the porch or the wet gear area, whatever terminology you use – the entry point, whatever you want to all it. Having the groundsheet, which is attached to and rolls out from the inner, was handy in our case as we were pitched on snow. Same principle would apply if you were pitched on wet grass for example as it allows you to keep your backpacks off the ground and dry – say if you had to pitch up in the rain. We like the fact that this tent can be pitched with the inner in place. Not something we had tried, but that option does mean even faster deployment of the tent which is perfect in wet conditions and you need to get out of the wet stuff quickly. Not a bad weight at 3.75kg, as it has a decent price point and is well built, and you could always split the pack between 2 people if you needed to. The storage bag also has 2 adjustable straps on it, so you can get everything stowed away tight and securely. I believe the bag is waterproof for storing the tent on the outside of your pack, but I will have to double check that. 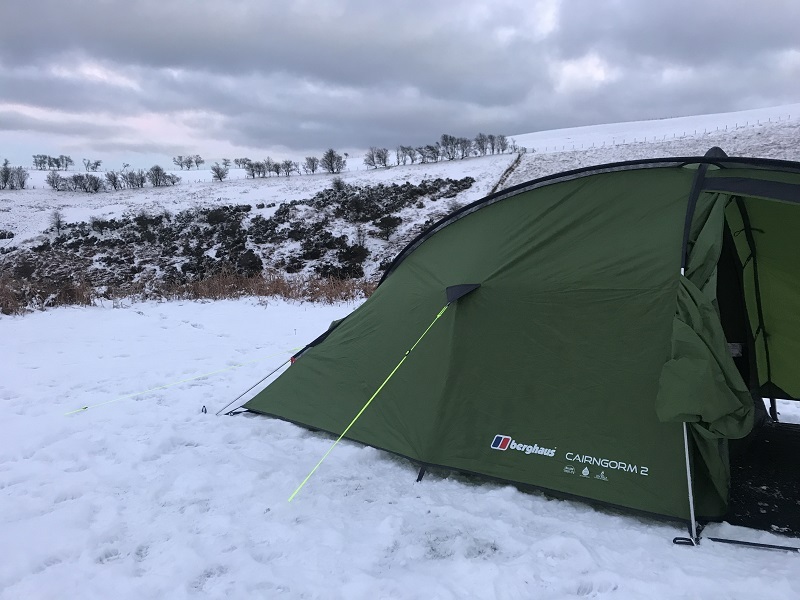 At the time of writing (Feb 2019), the Berghaus Cairgorm 2 tent was available to purchase online for around £160 which we feel is a good price for what it delivers. 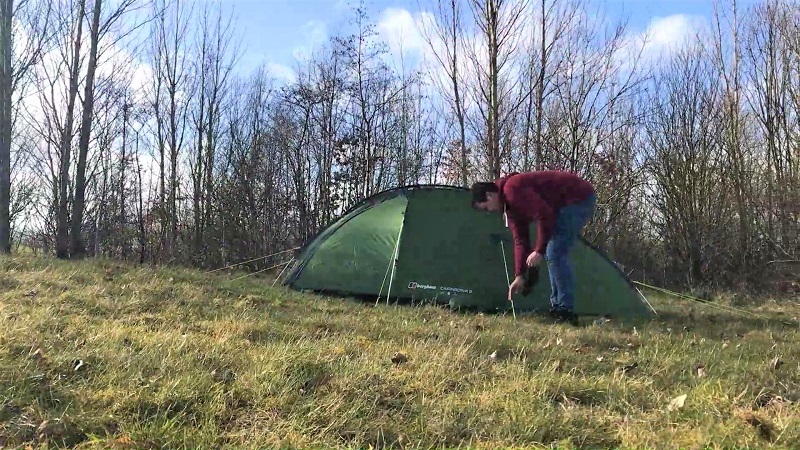 This tent is ideal for solo camping, camping as a couple, one man (or woman) and his (or her) dog. It looks to be durable enough to give you many years of trouble free adventuring, and for it’s price there really is no excuse not to get you and yours outdoors and adventuring. 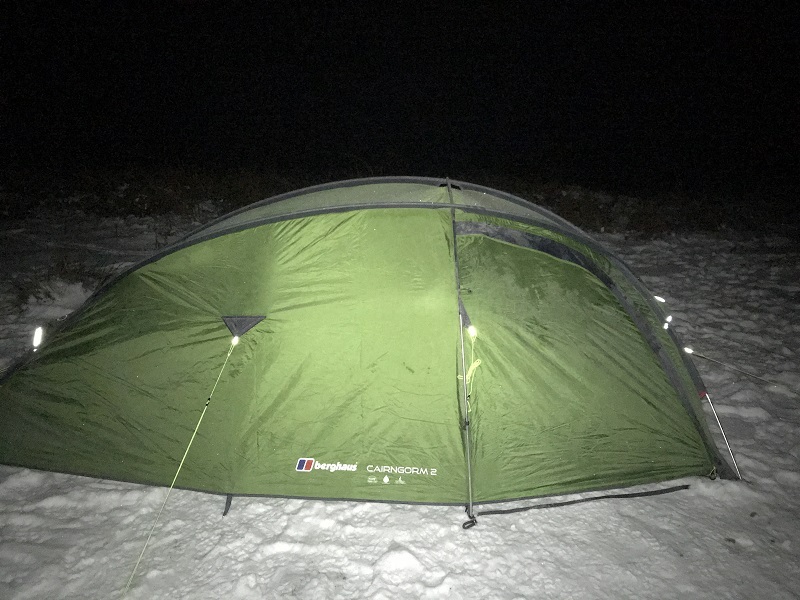 We got the chance to camp in the snow (not planned) and Mrs TentLife got some great photos of the stars as it was a perfectly clear (and cold) night. 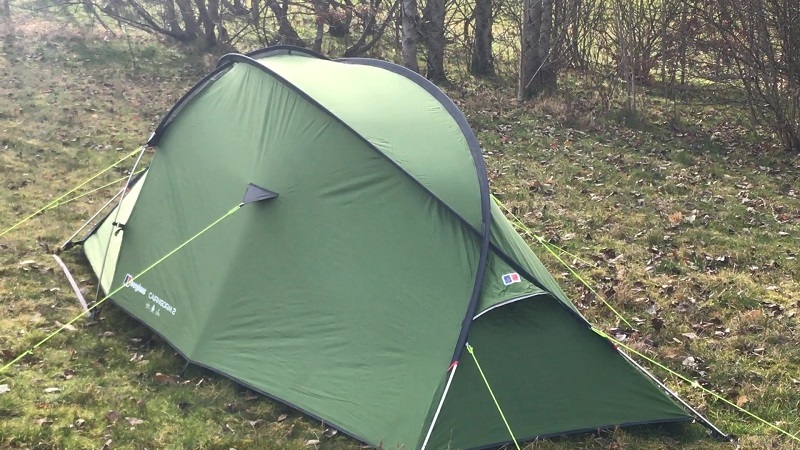 At the time of writing this review, Millets had the Cairngorm 2 for £159. 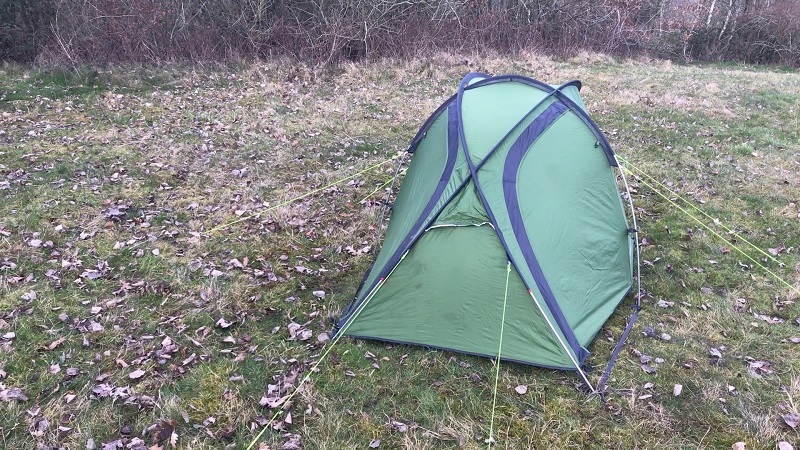 At the time of writing, Ultimate Outdoors had this tent for just £118. An error I think, so eBay is always worth a look. 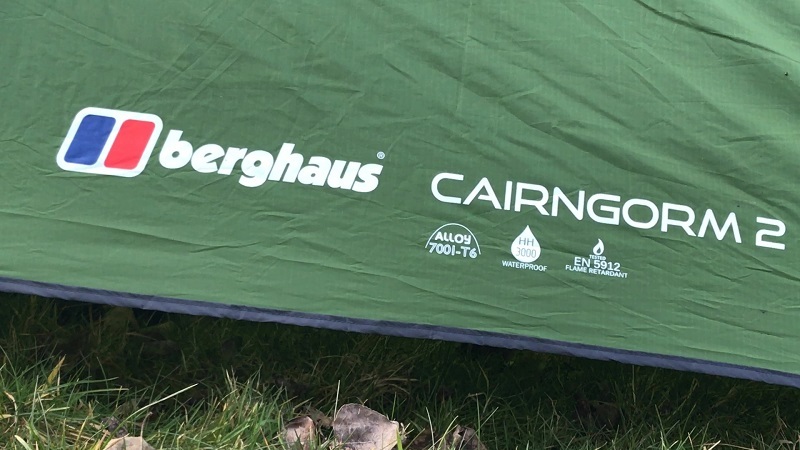 Comfort, weight and stability are the main concerns of the Cairngorm range of Berghaus tents. Three lightweight poles support the semi-geodesic rigid construction resulting in a spacious and tunnel/dome hybrid structure. 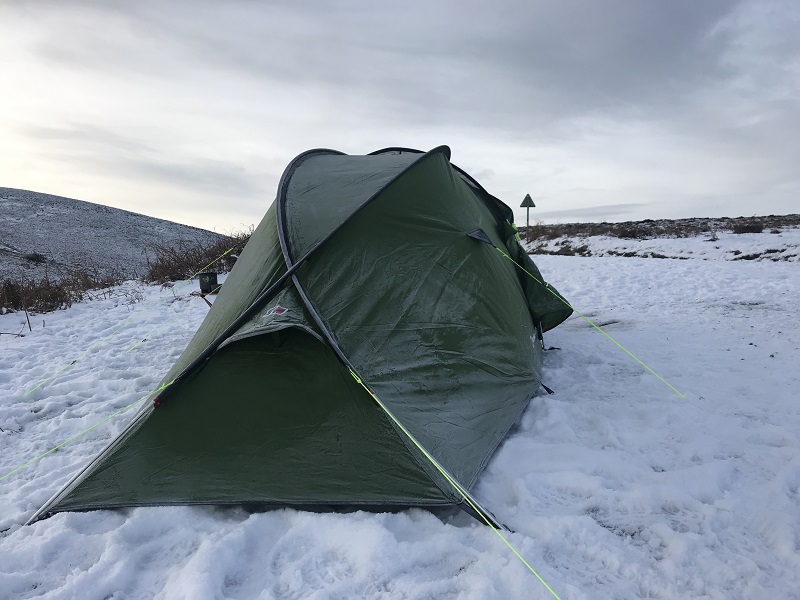 For confident camping in myriad conditions the hard wearing ripstop fly outer can withstand heavy showers without wetting out and a waterproof groundsheet protects yourself and the gear inside the tent. These all season tents are tested to withstand harsh weather conditions and are designed for active couples and adventurous campers. - Fly sheet, inner tent and groundsheet fully fire retardant - tested to the European EN 5912 safety standard. 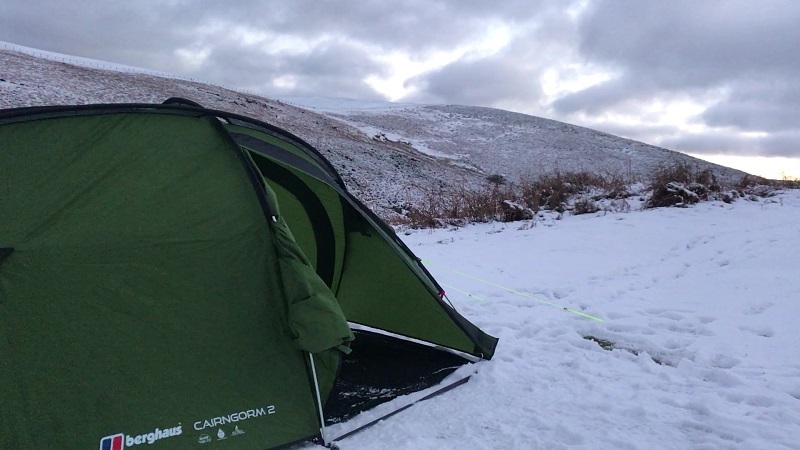 Here is our video of the Berghaus Cairngorm 2.